Google to serve a slice of Key Lime Pie at Google I/O? Some leaked information suggests that the new flavour of Android, dubbed Key Lime Pie, will be coming our way between April and June 2013, with a new Nexus phone in tow. This doesn't come as all that much of a surprise since - guess what - Google IO takes place in May 2013, and we'd expect to see Android 5.0 unveiled at the conference. The documents made mention of two new Snapdragon devices landing in the third quarter of the year and another arriving in the second. What makes this leak interesting is that a number of sites published screen grabs of a leaked Qualcomm roadmap that laid out the Key Lime Pie and next Nexus release timing; but the sites were all required to take the images down at Qualcomm's request. Now, that doesn't technically mean anything but roadmap leaks happen fairly frequently and aren't often subject to mass takedowns; so it seems possible that the leak was legit and Qualcomm's info was on the money. And that? That's the sound of the barn door slamming shut as the horse disappears over the horizon. 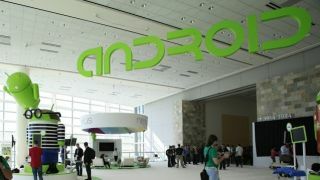 Still, it wasn't really anything we couldn't have surmised ourselves - Android 5.0 at Google I/O? Check. New Google Nexus phone and other Snapdragon handsets on their way? Not exactly a shocker.